President Cyril Ramaphosa has promised South Africans that government will work hard to improve rail transportation in the country. He says government is currently working on plans to boost train services which will ensure that trains arrive on time, are not overcrowded and are safe. Ramaphosa was speaking at the launch of Passenger Rail Agency of South Africa’s (Prasa) new train model at Cape Town Train Station. The modernised train which is blue, grey and black in colour can transport more than 200 passengers. The President also took a ride from the Cape Town Station to Mowbray and back, accompanied by Transport Minister Blade Nzimande, and board members and senior executives from PRASA. Last month, the President experienced first hand the challenges train commuters experience on a daily basis when a train he boarded during an engagement with commuters broke down. “We are going to make sure that our trains run on time. I have discussed that with the Minister and the board …” the President indicated. 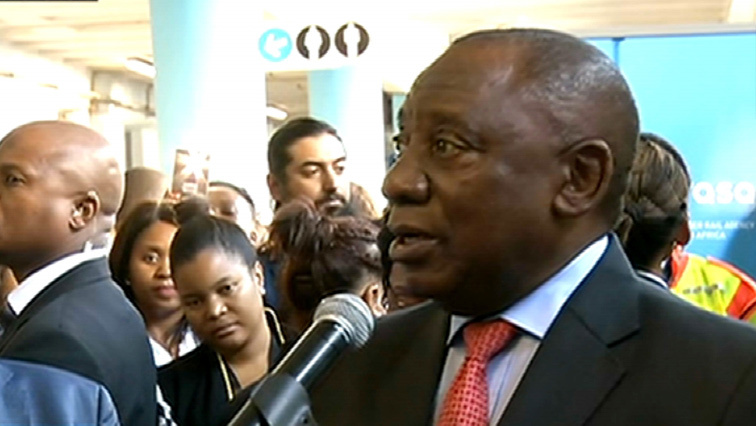 The post Govt to work hard to improve rail transportation: Ramaphosa appeared first on SABC News – Breaking news, special reports, world, business, sport coverage of all South African current events. Africa's news leader..